The Lissi sideboard is the smaller, more compact version of the stunning Lissi display unit. It shares the unique, disjointed design as the display unit, and leaves you with plenty of space to display or store away items. The sideboard comes with two shelves, as well as space on top of the unit for further storage and display. 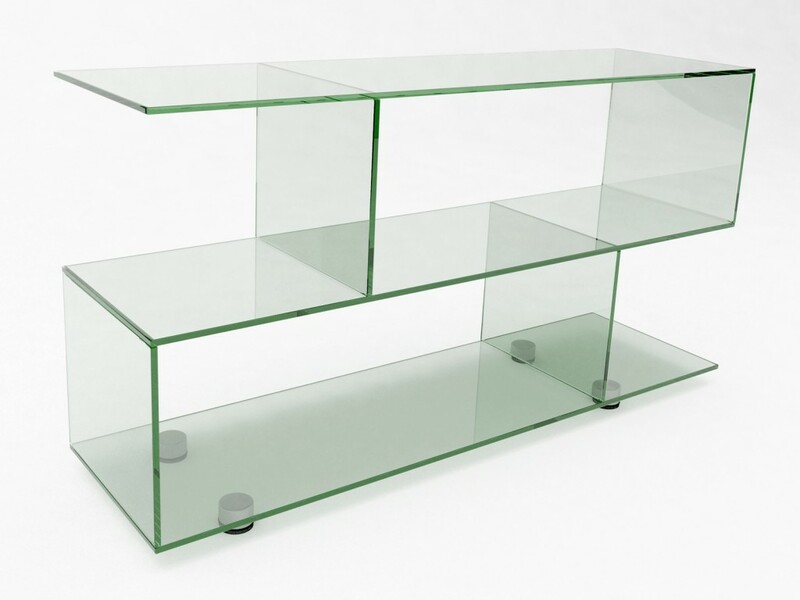 Made with 12mm of clear toughened glass to the dimensions of 1400mm x 400mm x 740mm, the Lissi sideboard is the perfect space filler for the empty, ‘blank canvas’ parts of the room. As with all of our products, the Lissi sideboard can be made to any size you need, as part of our bespoke design service, which you can find out more about here.